Shabba Ranks, Anthony Malvo & Daddy Lizard, Mavado, Dean Stephens & Robert Angus, Everton Blender and more. 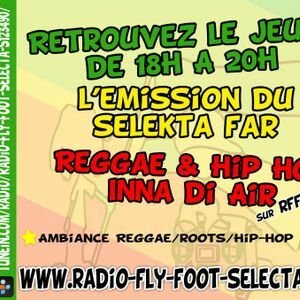 Tous les Jeudi 18/20H Reggae & HH inna di Air Presenter par Selekta FAR en live & direct SuR Radio Fly Foot Selecta !! !